I’m trying out a new blog look. I’m also going to try posting my workouts that occur since my last post. For Sunday’s long run I tried out some new fuel. And all I have to say is YUM!!! I took this at Mile 10 and it tastes like the insides of an apple pie. I have another flavor to try, but I think this one may be my new favorite. 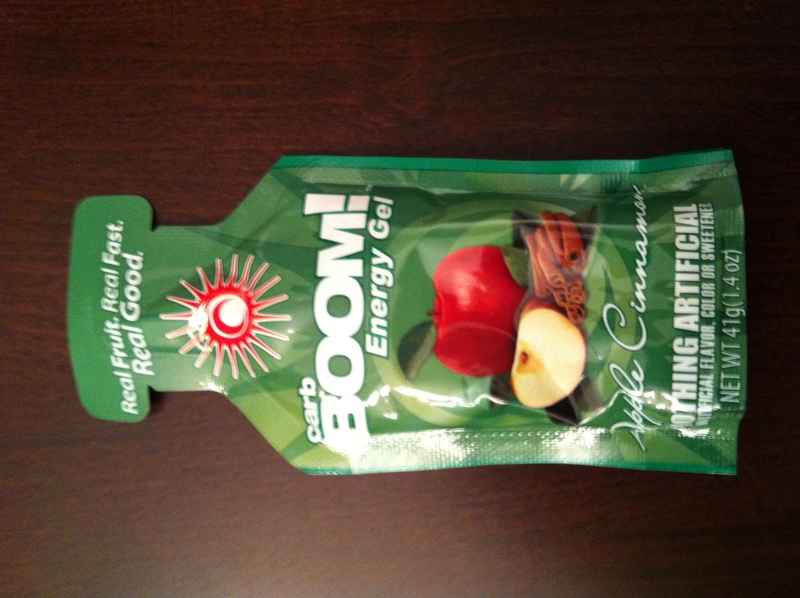 It’s too soon to tell if my tummy will tolerate CarbBoom!, so I will keep trying it out in long runs. I hope that is not the case. We picked ours up at the running store (Often Running) but I will check with the owner to see if that’s true before I get hooked on them. They just came out with new flavors so I hope that a sign that they are still in business. I like the new blog look. I really like the text a lot. I used to have carb booms for swimming so good. I have been taking electrolytes in pill form (I think they are Hammer brand) before marathons and will see if the CarbBoom feels like enough. Thanks for the heads up on your experience with them! Love love the new look! super cute!